Stop us if you’ve heard this one: You wake up late, gulp down some coffee, grab a quick rinse in the shower and charge out the door. You fight traffic, check your personal calendar at a streetlight, and realize you have just 10 minutes to get to an important meeting downtown. The rest of your day feels the same until you collapse at home sometime after dinner. Surely life was not meant to be this stressful. Reset your morning routine with some ideas from the Connected Life. Build a better, more efficient morning routine—one that starts your day off right. Do you have a hate/hate relationship with your alarm clock? It’s no wonder—alarm clocks only tell time. They can’t read your body, so they don’t know if they’re waking you during the deep sleep period of your sleep cycle. If your alarm goes off then, you may feel tired all day, no matter how many hours of shut-eye you actually got. There’s a tech-related solution to this problem. 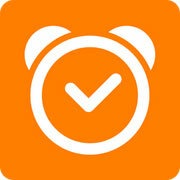 Check out the Sleep Cycle alarm clock app ($0.99, iOS and Android). You place your phone on your mattress while you sleep, and the Sleep Cycle app uses your phone’s accelerometer to track your movements and understand your sleep cycle. The app wakes you at the best time for you, within a window you select. Sure, you brush your teeth twice a day and visit the dentist every six months or so, but how can you know for sure that you’re doing all you can to keep those pearly whites pearly and white? Several smart toothbrushes now connect to apps and analyze your brushing pattern and time. Check out smart-toothbrush offerings from Oral-B and Kolibree for examples. There’s a Zen proverb that goes, “You should sit in meditation for twenty minutes every day—unless you’re too busy. Then you should sit for an hour.” Along with lowering stress levels, the benefits of regular meditation include improved memory and greater productivity. Calm (Free, iOS and Android) features an easy meditation guide for beginners plus seven narrated meditation sessions, varying in length from two minutes to half an hour. 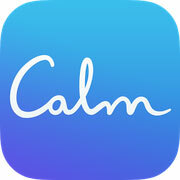 Then, if you’d like to move forward, Calm offers 50 premium sessions. When you’re away from your desk, you have your best ideas. Isn’t that the way? 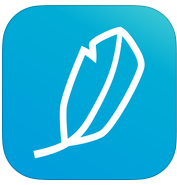 Whether you wake up with a brilliant insight or solve a problem while you’re brushing your teeth, Captio ($1.99, iOS) can capture the idea quickly and send it to your inbox (or Evernote, or another task-management app that accepts entries via email). Captio also sends photos or screenshots. Often we start our day with email, calendar, and a to-do list. Step away from the race and focus on larger goals with Coach.me. This app lets you enter goals or join a group challenge. It’s great for fitness tracking or something small you need a daily reminder of. 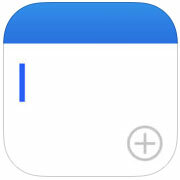 Each time you complete a daily task, the app will congratulate you on how many days in a row you’ve completed. If you need more support, you can use the app to hire a coach to get you to the top of your game.